Google is continually updating their search algorithm and ranking criteria. The small scale- medium business gets hit by the major algorithmic changes that have had the biggest impact on search. The layout itself of Google’s search pages (SERPs) has had transformations since the beginning of 2016- like, four Adwords results at the top of the search results page instead of being displayed in the right-hand side of the page; the searches matching the page title are no longer bold and featured snippets have been added. Alwafaa Group, Dubai believes there is a better way to do digital marketing by closely watching the latest trends and google updates using the latest technologies and metrics. In 2017 we can expect more changes. Google already confirmed new mobile-first index. This means Google will create and rank its search listings based on the mobile version of content, even for listings that are shown to desktop users. Also, your search ranking will be affected if annoying adverts are popping up whilst you are waiting for a website to load. People expect your website to load instantly, slow page speed can affect the organic traffic adversely as no one has the patience to wait for more than 3-5 seconds while your page is loading. A survey by Kissmetrics revealed that 40% of website shoppers will leave a website that takes more than three seconds to load; so, if your website doesn’t load quickly enough, then you’ll miss many potential customers as they head off to your competitors. If your website is not having sufficient page speed, it’s time to get it fixed. Gary Illyes from Google said that page speed of your mobile pages are very important when it comes to the google’s mobile-friendly algorithm. The Google Accelerated Mobile Pages(AMP) project helps publishers enable their pages to load quicker on mobile devices. Local results are now prominent in Google search and will only increase going into 2017. Nowadays people use the search engine on their mobile than desktop these days and that nearly one-third of all mobile searches are GPS activated. This means it’s more important than ever for your business to have Google My Business set up so that you can appear in local searches. Even if you have international level business, but have local offices, customers will be searching for these, so it’s important to have them separated out and indexed correctly too. Google has started displaying more featured snippets for search queries nowadays with an increased number of search marketers learning how to get their sites featured. The featured snippets appear above the organic results with a link to the source, as a matter of fact, it’s better to have a featured snippet than having the number one result for that search query. From our experience, in order to get a featured snippet, you have to be on the first page of the search result and should have rich content relevant to the user search query. Google is about to release a change in algorithm to its mobile search results that penalizes websites using pop-ups. To rank well and get organic traffic from Google, you will need quality content on your site. Keyword stuffing will no longer work. Ever since the Google Penguin update on October 2016, as per Google’s Webmaster Central Blog “signals include things like the specific words that appear on websites, the freshness of content, your region and PageRank.” And this Penguin update made page changes in real time. 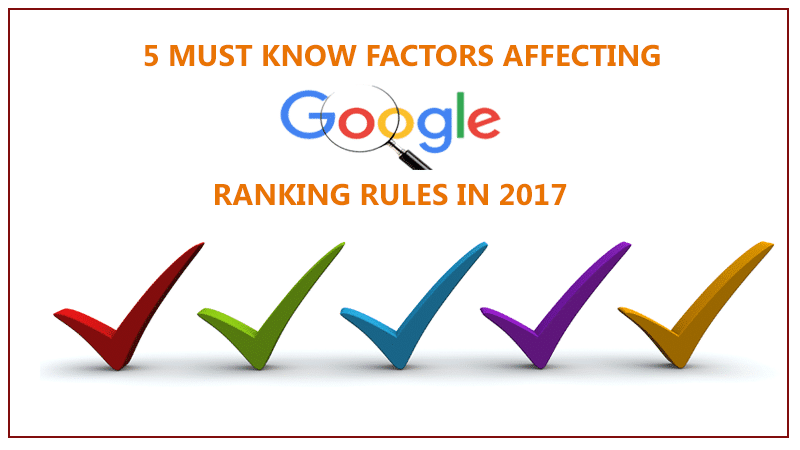 In their guidelines, Google makes it clear that they will take manual action against your site if it does not comply with its guidelines. If you would like your website reviewed in 2017 to ensure you continue to rank well despite these changes, contact Alwafaa Group for a FREE website health check.